EMP is an important hazard to prepare for. It has the potential to disrupt critical infrastructure we depend on to sustain life, causing cascading effects of long duration over great areas. EMP is not the only emergency that mankind should prepare for, but it is one of a handful of hazards that virtually everyone is enormously exposed to. There is so much to do, and so little time. It’s easy to see why some of our readers ask themselves where to start from. Here’s where I’ll point you in the right direction! Most preppers do not make emergency preparations out of fear for some singular threat to the exclusion of all others as the negative “Doomsday Prepper” Hollywood-media stereotype would suggest, so there is no need to point out to most of you that EMP survival should be one aspect of a more comprehensive emergency plan. Do not understand EMP well enough to get started. Are unsure if EMP is really a threat at all. Have read conflicting information and are not sure which to believe. Don’t know how much it will cost. Not convenient. There are easier things that can be done in other areas. The trend was easy to spot. A general lack of understanding of EMP caused people move on to other tasks. I understand. EMP is a technical topic and the prospect of studying it is not appealing to everyone. The cure for this deficiency is also readily apparent. If these people truly understood the magnitude of their exposure to EMP and what to do to fix it, I suspect that they would have chosen to prepare. People tend to think they fail because they lack willpower, when they usually really fail before they get to a test of will. Where these survivalists actually failed was in their failure to sufficiently dedicate themselves to their cause. In this case, they failed to understand the risk (EMP) and their exposure to that risk. Had they really understood, EMP preparedness would been the natural thing to do. Preparing would be a mere function of their vision as opposed to a test of willpower. As the issue of being unsure which information on EMP is correct and which is incorrect, sufficient study would eventually sort that out, but I’ll point you in the right direction so you don’t waste your time. If EMP is a new topic for you or you just want to start over at the beginning, this section will help you get your head around the subject. So here are a few sources you should start your study from. You can watch it on YouTube or buy the DVD. If you are a visual learner, this video is a start. Video first seen on High Frontier. FutureScience, LLC has a page called A Basic Introduction to Nuclear Electromagnetic Pulse which is a great article on the type of EMP that is caused by a high-altitude nuclear detonation. This section will help you commit yourself to the cause of preparing for EMP a little like the films in an old-school driver’s education class that showed you brains on the highway. If they watch enough of those, even teenagers will drive more carefully … at least for a while. So don’t forget to periodically re-commit yourself if you begin to lose motivation. William H. Forstchen wrote the NY Times Best Seller “One Second After”, which is a fictional one. Forstchen wrote this novel to help ordinary people better understand the threat of EMP and what it would be like to experience a nuclear HEMP. The book is a fictional account of a town’s struggles in the wake of a nuclear HEMP, and how the community overcomes many of the obstacle we might face in such a scenario. The book was very well received and “One Year After” is the next book in the series. These books are help readers put EMP in context and demonstrate what could happen if we do nothing. EMPact America is an organization attempting to enact legislation to harden USA’s critical infrastructure against EMP. EMPact America’s website has an article titled, “What Is Electromagnetic Pulse?” that gives a good overview of EMP. The EMPact America website and newsletter also have a great deal of information on the need to prepare for EMP. Dr. Peter Vincent Pry has led the fight to strengthen critical US infrastructure after being handed the torch from Dr. William R. Graham, the USA’s foremost expert on the subject of EMP. “Apocalypse Unknown” details this fight against government bureaucracy and the powerful energy lobby, which is afraid of additional regulation and resisting any attempt to harden the electrical grid. This is every bit as big a battle against junk science as oil companies’ argument that lead is good for you and big tobacco arguing that smoking is not harmful to health. Congress created two EMP commissions to assess the threat of EMP to the nation’s critical infrastructure. The reports of these commissions are helpful in understanding this threat. Here’s the link to EMP Commission Reports on EMPact America Website, in case you want to read it. This report from GAO on US critical infrastructure highlights the fact that only certain portions of government have any protection from EMP. Your elected officials feel that government communications infrastructure is critical, but it is not critical to keep the infrastructure running that keeps you alive. HEMP Protection for Ground-Based C41 Facilities Performing Critical, Time-Urgent Missions Part 1 Fixed Facilities. This spec is useful in understanding and constructing Electromagnetic shielding. Don White is writing a detailed series on EMP preparedness and is three books in so far. Some readers may find them a little dry, but if you are interested in good information on how to protect homes or solar installations, they are full of important information. I have written a number of useful articles for Survivopedia spanning a number of EMP-related topics, such as: how to tell if an EMP has happened and what type of EMP it is, vehicles, buildings, solar installations, weapons, and more. The search brought of a couple of article on other topics that you can skip past, but the average prepper should find them useful and technically accurate. CLICK HERE to find the EMP articles by Cache Valley Prepper on Survivopedia website. The last but not the least, there is “The Darkest Days” – Survivopedia’s EMP survival guide that packs secrets few preppers know, borrowed from the resilient Amish, to survive in the coming days. Video first seen on Survival Guide. Is there any other good source of information about EMP preparedness that we missed? Do you have any tricks to share about surviving a blackout? 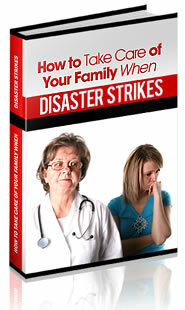 Are you still looking for a better way to prepare for this disaster scenario?